This delightful glass ornament is hand painted in Garland, TX by Pattilu Bowlsby. 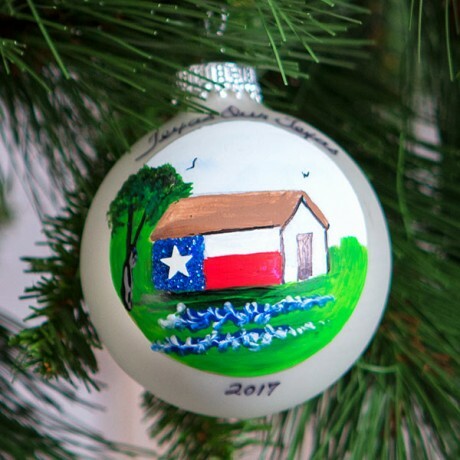 The 2017 ornament features a traditional painted barn and the phrase "Texas our Texas". 3" diameter.